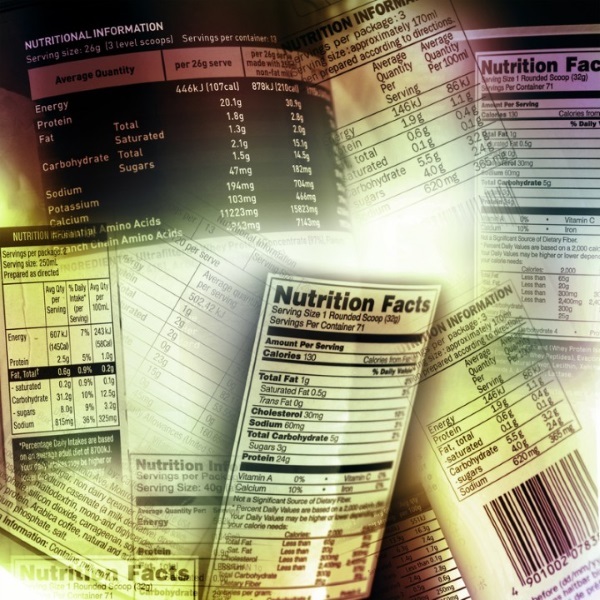 Activity Equivalent on Nutrition Labels – Helpful or Worthless? Let’s get this straight… According to this “chief executive” anyone in general who has a lower household income or holds a lower level of education would need more information on the packaging of consumables to help them fully understand how that food will affect them? WHAT? Maybe this executive needs to take a diversity class? Where do we even start with that last statement? First off, people who are obese didn’t get to that point because they are health conscious or care about their weight and overall health. The have made a bold stance that they aren’t going to be active and they are going to eat whatever they want. Now I don’t want to generalize and say ALL cases of obesity are as I just mentioned, but more times than not, my statement holds true. So let’s think about this. If I was an unhealthy eater and I saw a label that showed I would have to take 1,000 steps in order to burn off a serving would that stop me? No, because I’m not exercising in the first place. So who cares? Having an equivalent of 1,000 steps means nothing to me other than it looks like a high number if I don’t exercise and have nothing to base that figure off of. Can you imagine… You’re at the grocery store and with the prevalence of obesity in the United States that the grocery store has several obese individuals shopping at the same time. So as you walk down an aisle, you see them looking at the nutritional facts on the packaging and reads the activity equivalent and out-loud says, “I’d have to walk for an hour to burn off each serving?” And then put the product back on the shelf? Yea, I can’t see it either. If the product is something they are used to eating, they are going to grab it without looking at the nutritionals or the silly little activity equivalent box. If someone suffering from obesity was to look at these labels who didn’t want to change their life it wouldn’t matter if they were on the label or not. For the people who ARE educated on looking at labels to see if it’s a healthy choice or not, still wouldn’t care for such information put on the packaging. Think of all of this as a box of cigarettes. On the box it basically says “smoke these and you’re gonna die”. Now I might have paraphrased a little but I’m sure you get the point. Did that label from the Surgeon General stop people? Sure, some. For the majority? Nope. If anything, technology has done more for getting people to give up tobacco through the invention of e-cigarettes than any ad has done or statement on the packaging. So based on previous attempts to get information in the face of the consumers by putting warnings on packaging simply has not worked. I mean why not just take it one step further and on ALL consumables put a warning on the label that states “overconsumption of this product may result in weight gain and lead to obesity”? After all, that statement is true, right? Here’s the bottom line, you can’t put something on a box or package and think it’s going to make a difference. It’s the responsibility and the choice of each individual to decide if they want to choose the path to a healthier lifestyle. It can’t be shoved down their throat on the packaging or each time they go for a visit at their doctor’s office. An unfortunate reality is that many of these individuals don’t care to change their lifestyle until their health deteriorate due to an illness caused by their years of poor habits. Sometimes it’s even too late at that point, but for many turning their life around can be done through a few simple steps. Again, obesity isn’t something that creeps up on you and you wake up one day struggling to breath because your body weight is compressing your chest not allowing your lungs to fully expand. You don’t have to be a nutritionist to know what you should and shouldn’t eat. A simple lesson in nutrition is truly all you need to know the differences between the macronutrients and what each will do after consumption. The same thing with exercise—you don’t have to be a model or personal trainer to get and be active. It is advised, however, that if you ARE looking to turn your life around that you seek out help. If you want to learn on your own by reading books and such by all means, go for it. Otherwise, it’s advised to seek the help of a professional to get you moving in the right direction. After that point if you wish to continue the learning process and wanted to read books you could do that to continue gaining more knowledge about the subject. Building a solid foundation can really make or break you in your journey. Consistency will be key and that will ultimately be the deciding factor on your success or failure. If you slip up it isn’t the end of the world, simply jump back up on the horse and keep moving forward. The results will come if you stay consistent. Don’t give up!